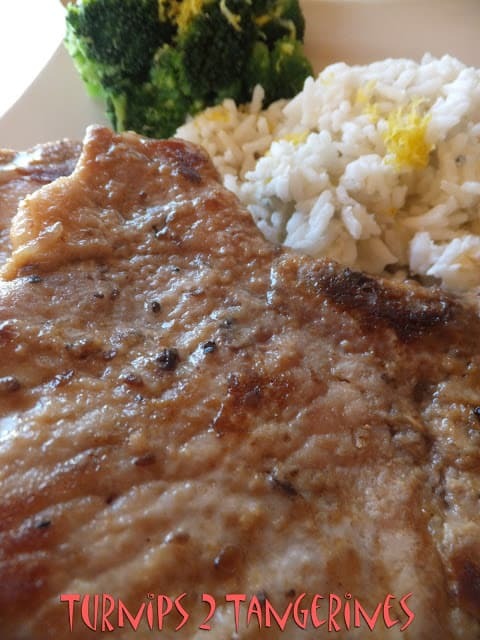 Serve Sesame Ginger Pork Chops with Blue Cheese Jasmine Rice and Steamed Lemon Broccoli for dinner tonight and you’ll have a delicious meal everyone will flip over. Adding a few fortune cookies for dessert will give this meal a whimsical touch. Plus, who doesn’t like fortune cookies! Fortune cookies can be purchased at most if not all Oriental markets and in most SuperCenter stores in the Asian food aisle. Sesame Ginger Pork Chops are made with a bottled sesame ginger marinade. Feel free to make your own marinade if you don’t care for bottled marinades. With so many new and delicious marinades on the grocery store shelves, we prefer to purchase the bottled variety. The brand we used for this recipe is from World Harbour Sauces and Marinades . 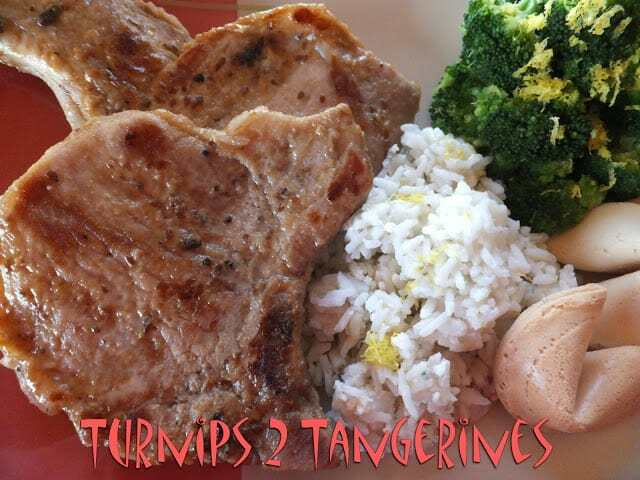 This is a fast, easy and delicious meal, one I make over and over. A complete meal made easy. Don't forget the fortune cookies. Cook jasmine rice according to package directions. Fluff rice with fork. Gently stir in 1 teaspoon lemon zest and 1/4 cup blue cheese. Cook broccoli according to package directions. Add 1 teaspoon butter and remaining lemon zest. Stir. 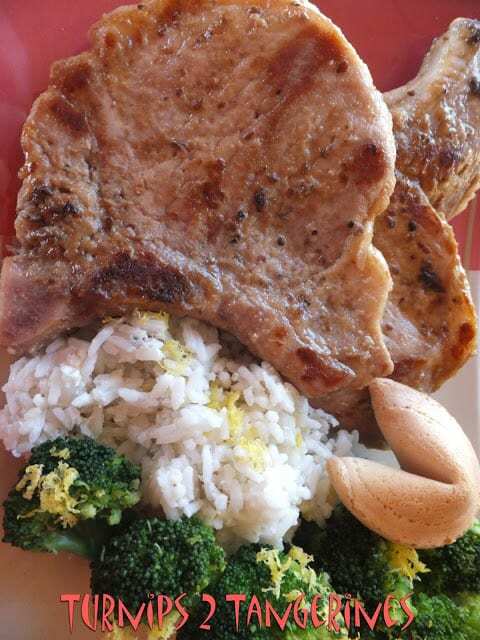 Serve pork chops with rice and broccoli. Pork Egg Rolls with Orange Sauce is a super delicious recipe we love to love. I love pork Asian style. Thanks so much for your kind comment on my blog.